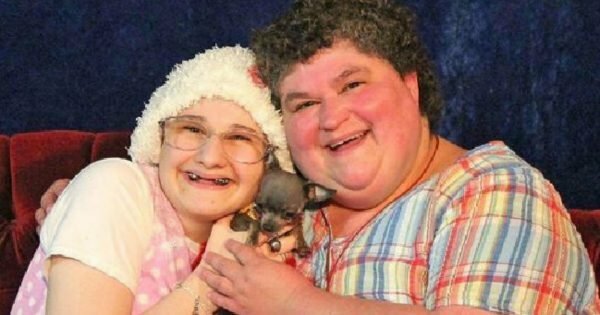 Gypsy Rose Blanchard has never felt more free. She's currently serving 10 years for her mother's murder. What Gypsy Rose Blanchard's life is like now, almost four years after her mother's murder. 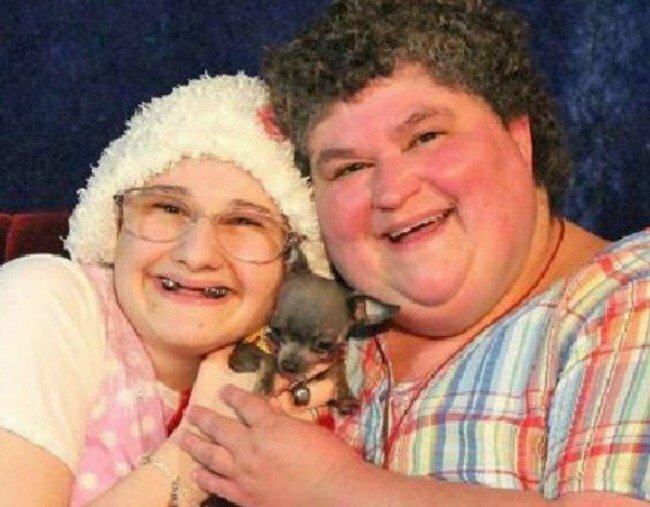 Gypsy Rose Blanchard, 27, orchestrated the murder of her mother Dee Dee in 2015, and is currently serving a 10-year sentence in a Missouri prison. She’ll be eligible for parole in 2023, when she is 32. Despite being behind bars, Gypsy is actually thriving, and reportedly says it’s the first time she’s tasted freedom. “If she had a choice to either be in jail, or back with her mum, she would rather be in jail,” her stepmother told Springfield News-Leader. Watch the trailer for “The Act,” based on the true story of Gypsy Rose. Post continues after video. As the Blanchard case moved to trial, the world learnt the dark truth of Gypsy’s past. She had endured years of medical child abuse at the hands of her mother. Gypsy never actually knew how old she was, and was confined to a wheelchair, with her head shaved. Her mother told her she was terminally ill, and that she had everything from leukaemia to muscular dystrophy to seizures, and developmental issues that meant she had the mental capacity of a seven-year-old. Gypsy had none of those things. Dee Dee suffered from Munchausen syndrome by proxy, which is now known as ‘factitious disorder imposed on another’. As the name suggests, the condition makes a guardian exaggerate or induce illness in a child for attention and sympathy. Police also believe money was a motive. Dee Dee received a home built by Habitat by Humanity as well as trips to Disney World paid for by nonprofit foundations. She went as far as to dupe health care providers into making false diagnoses and prescribing unnecessary medications. She also, according to Gypsy, chained her to the bed and hit her with coat hangers. If she escaped, police wouldn&apos;t believe her, Dee Dee told her. It wasn&apos;t until Gypsy was a teenager that she started questioning her age, why she wasn&apos;t allowed to have friends or boyfriends, and her medical conditions. But it was a boy Gypsy met online that changed everything. She would go on to convince him to kill her mother for her. Nicholas Godejohn stabbed Dee Dee to death in her sleep with a stolen knife and gloves Gypsy had taken from a local Walwart. She hid in the bathroom, while Nicholas carried out the crime. For his part, Nicholas is serving life in prison without parole. The prosecutor in Gypsy&apos;s case called it "extraordinary and unusual." He declined to seek the death penalty, even though it&apos;s available for such crimes under Missouri law. Gypsy accepted a plea bargain agreement for 10 years and the charge of second-degree murder. Dee Dee&apos;s own family admitted they didn&apos;t regret her death, saying Gypsy had been punished enough. Gypsy was so undernourished in her first year in county jail, she put on 6kg. Her lawyer said most of his clients lose weight in the first 12 months. "She is thriving," her stepmother Kirsty Blanchard said in 2018, a few years into her sentence. "There has been no long-term side effects from all the medication her mum had given her. She has a clean bill of health, thank God — and I really only think what it has done was stunt her growth. Now, don&apos;t get me wrong, her eyes, she does have a lazy eye if she doesn&apos;t wear her glasses all the time. "That was since she was a little baby. Everything else was all a lie." In an interview with ABC News, Gypsy was upbeat. She&apos;s currently earning her GED in prison, and learning photography. "The prison that I was living in before, with my mum — I couldn&apos;t walk. I couldn&apos;t eat. I couldn&apos;t have friends." "I feel like I&apos;m freer in prison than living with my mum. I guess now I&apos;m allowed to just live like a normal woman," she explained. Her father left her mother when she was pregnant, and growing up Gypsy didn&apos;t spend much time with him, as he wasn&apos;t equipped to handle her &apos;care&apos;. When she leaves jail, he and her step-mother will be waiting for her. "She’ll always have a home here … We’ll put her on the right path," her dad told People magazine.